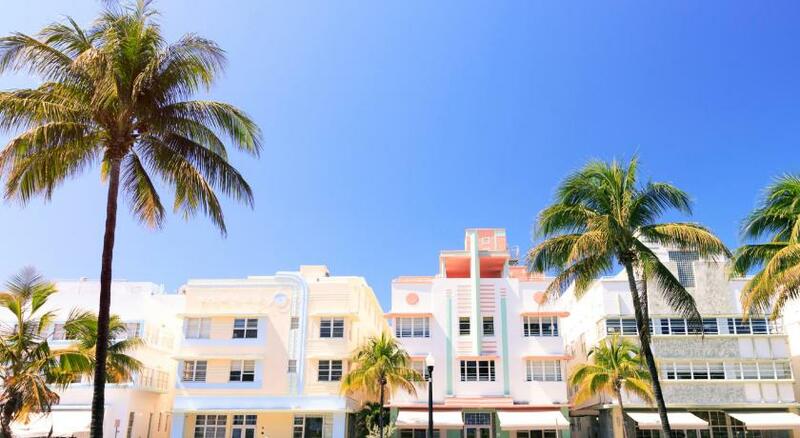 Lock in a great price for The Hotel of South Beach - rated 8.6 by recent guests. Excellent location near beach and shops. Beach chairs and towels included. Good lobby and reception staff. Nice small bar. Comfortable outside seating area. lovely bathroom in modern quirky (art deco?) style. Comfortable bed. Mini bar (expensive items priced). Good wardrobes. Nice pool on roof with bar service and towels. Great art deco appearance and flooring in the lobby. Appearance, location and nice rooftop pool. Staff friendly and helpful after issues with rental car parking. The courtyard with the water feature, we did enjoy as it was green and cosy. The roof top pool was nice but don’t bother with the food as it was again below average. Good luck. Great location, but be aware that the hotel is located in two separate buildings. Our King suite, room no 330, had an entry through the “News Café” on Ocean Drive, while the main hotel lobby and entrance is on Collins. Large room and bathroom. Nice bath products. Comfortable bed. Air conditioner worked as should. Good noise insulation, no disturbance from Ocean Drive. Beach chairs and towels included. Great pool, never crowded on the rooftop, very good pool service. Fantastic location. 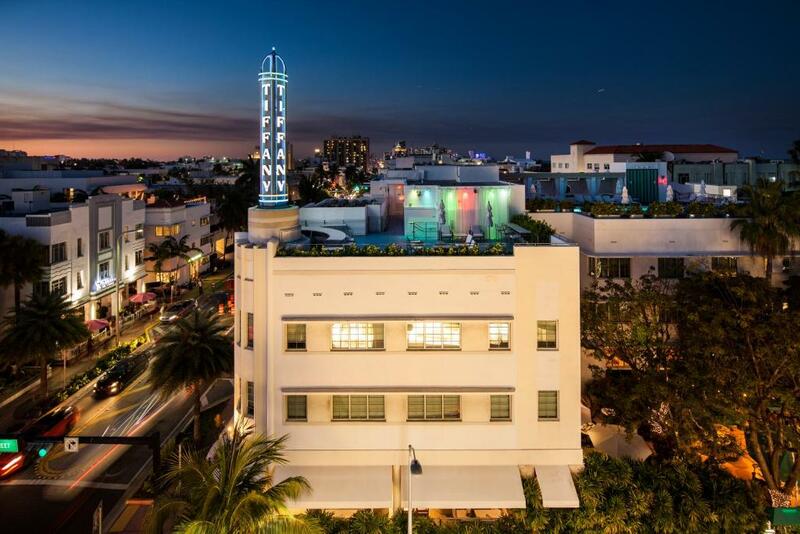 A short stroll from beautiful beaches and boasting an ideal location in the centre of South Beach, this hotel offers state-of-the-art amenities, award-winning dining options and exceptional accommodations. 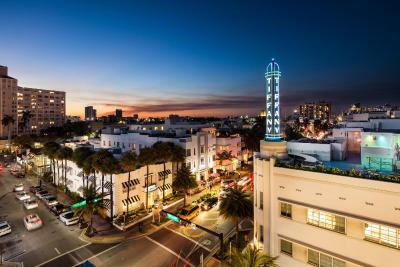 The Hotel of South Beach is ideally situated only steps from charming cafes, famous restaurants and luxury boutique shops. 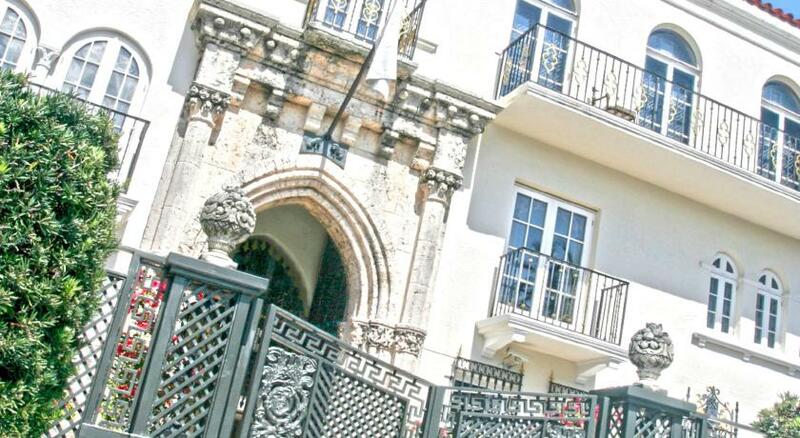 The Versace Mansion, Lummus Park and a variety of recreational activities are only minutes away. Guests can enjoy stunning views from the rooftop swimming pool or relax with a cocktail from the rooftop bar and lounge. The hotel also features an on-site fitness studio along with an on-site gift shop and free use of beach chairs. Completely non-smoking accommodations at The Hotel are furnished with all the latest technologies, including flat-screen TVs and iHome docking stations. Guestrooms also feature custom-made furniture, free wireless internet access and rain-head showers. 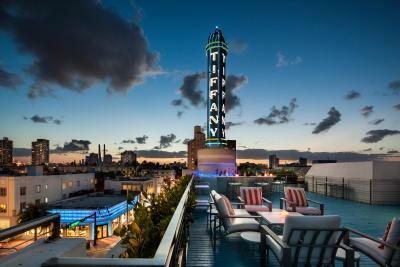 The Hotel of South Beach has been welcoming Booking.com guests since 23 Mar 2006. 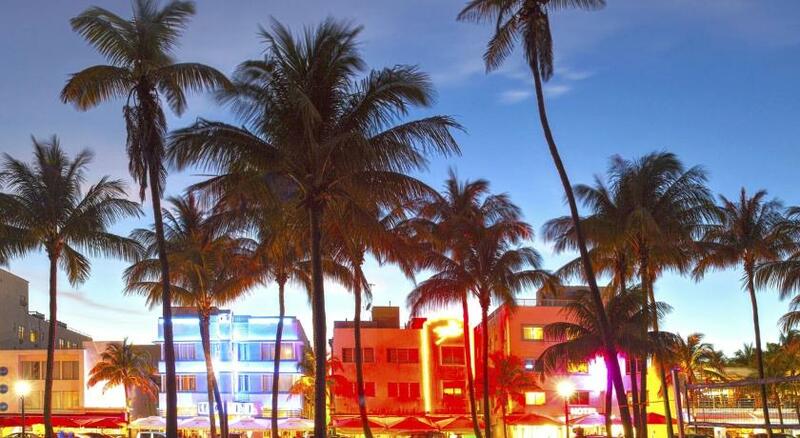 When would you like to stay at The Hotel of South Beach? Todd Oldham-designed room that features an HD flat-screen TV, minibar, free Wi-Fi, 2-line phone with voicemail, rain-head shower and toiletries by The White Company. Each room is entitled to 2 beach chairs daily. Private parking is possible on site (reservation is not needed) and costs USD 39 per day. Todd Oldham-designed city deluxe room, that features an HD flat-screen TV, minibar, free Wi-Fi, 2-line phone with voicemail, rain-head shower and toiletries by The White Company. Room features a flat-screen TV, a minibar and rain-head shower. Originally built in 1939, by master architect L. Murray Dixon, today the hotel encompasses 53 deluxe rooms and suites, a rooftop pool with panoramic ocean views. A new oceanfront addition to The Hotel with 20 breathtaking deluxe rooms, including two suites, designed by Oldham in a glowing sunset palette, previewed December 2009 and officially opened January 2010, at 800 Ocean Drive, above the News Café, bringing The Hotel's rooms and suites down to the ocean. The two properties bring the total to 73 beautiful rooms and suites, with shared amenities. House rules The Hotel of South Beach takes special requests - add in the next step! The Hotel of South Beach accepts these cards and reserves the right to temporarily hold an amount prior to arrival. I did not like not knowing about the $150 security deposit before arrival. The location was awesome! The service was great! The bed waa amazing ans room was really clean. 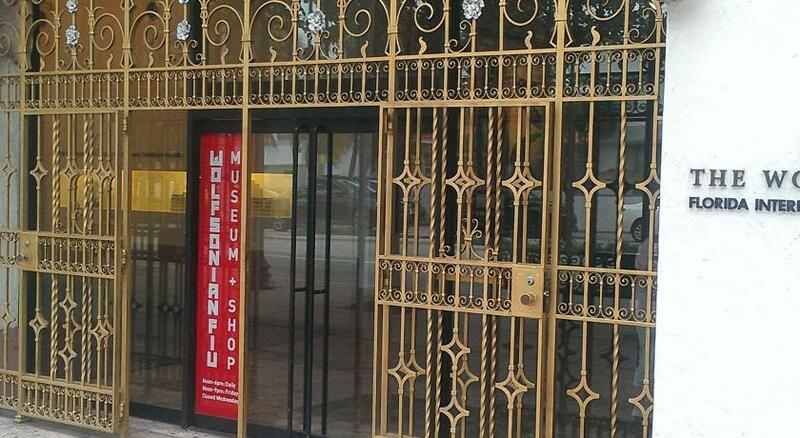 I would definitely stay here every time I'm in Miami. We were in the hotel annexe (top floor) above the News Cafe and the room had some vibration/noise issues due to air con fans on the roof and poor sound insulation from corridor. Doors also very noisy when closed. Our room was in the annex building, which we didn’t realise even existed when we made our booking. It meant we had to walk out of the main hotel onto the street around the corner and through a cafe entrance to get to our room. We were a bit shocked and disappointed about that, and there is no mention of this anywhere before booking. Great location, nice rooftop area with a small pool and nice staff. Pool closed at 8pm which is ridiculous. No outside drinks allowed on porch. Slow, slow elevators No onsite parking. Location Many of the staff were good and some were not. The property had lovely Art Deco style, comfortable public spaces, and a nice small pool on the roof deck. The staff were very welcoming and helpful with local suggestions. Not a huge deal, but in the morning we could hear the footsteps of the people upstairs. We stayed here in the middle of spring break with college kids everywhere, yet we could escape to the lovely outside tree-filled bar/dining area and quiet porch of the hotel. All staff were friendly and helpful and the bartender made a great old-fashioned. The bed was very comfortable and the bathroom was large with everything one needed. The hotel also offers beach chairs and towels - just walk to the beach one block away and give them your room number - fabulous and a good deal. We would stay here again if we return to South Beach. Crazy college crowds out on the street--we came in March! Really loved the peacefulness of the hotel, especially relaxing on your veranda in the evening and swimming in the rooftop pool. Also having access to lounge chairs on the beach. The window in the room was covered opaque liner so light came in but no view. (Was side of apartments next door so nothing worth seeing). The corridors had carpet which did not look great and gave a bad impression. Everything was okay, it was very noisy and could everything from the street every night all night until at least 6am. I understand it was spring break, but the hotel could have given us a room in the front of the hotel in the other building as opposed to being on Ocean Drive where police barricades where ever where, and we could not even get into our room unless we walked all the way around. I understand the hotel can’t control that, but they should check on their guest to see what they can do to make their stay more enjoyable for what we paid. Will not be back!! Close to beach. Accomodative staff. Saw other clients paying less for their stay . One person paid $199 per night a$100 less per night. Pool area was good and the staff in that area very friendly and helpful.